Don't be the cause of a natural catastrophe. Take biosecurity seriously. 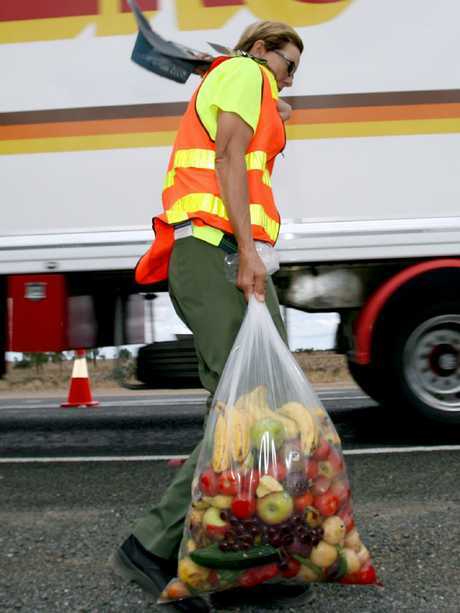 Motorists caught bringing fruit into SA will no longer receive a caution, but will instead be slapped with a $375 fine, as part of a State Government battle against fruit fly. 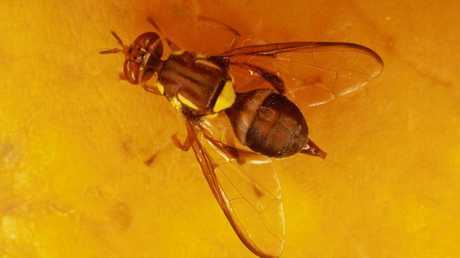 The Government's zero tolerance response is to protect the state's $1.2 billion horticultural industry, after an outbreak of Queensland fruit fly detected in Loxton last month. A border sting operation already fined 232 drivers for illegally bringing fruit into SA at a roadblock near Bordertown on December 28. From today, the Government will run a zero tolerance, around the clock operation at the Yamba quarantine station on the Sturt Highway. A quarantine officer carries a bag of confiscated fruit. Primary Industries Minister Tim Whetstone said there was no longer an option to declare produce at the Yamba station without penalty. 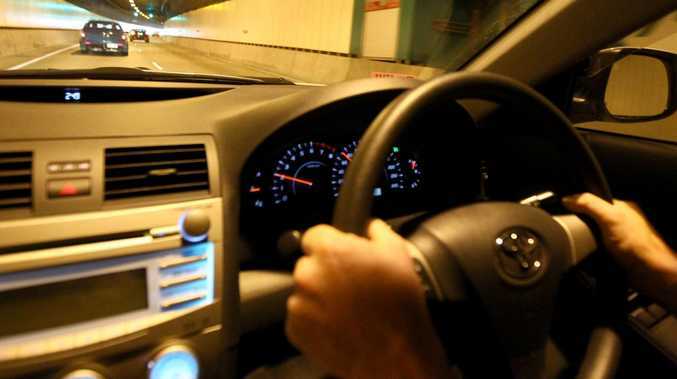 "The zero tolerance policy is aimed at changing the attitude of motorists who flout the law and bring produce into South Australia," Mr Whetstone said. "This type of behaviour is putting Riverland industries and communities at risk of economic devastation from fruit fly. "Whether you illegally carry one piece of fruit or 20 in your vehicle into a quarantine area, you will be penalised." 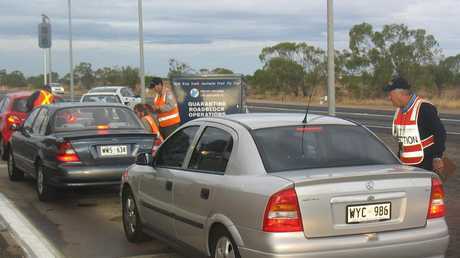 Primary Industries and Resources SA inspection officers talk to motorists at quarantine roadblock operations on the SA border. 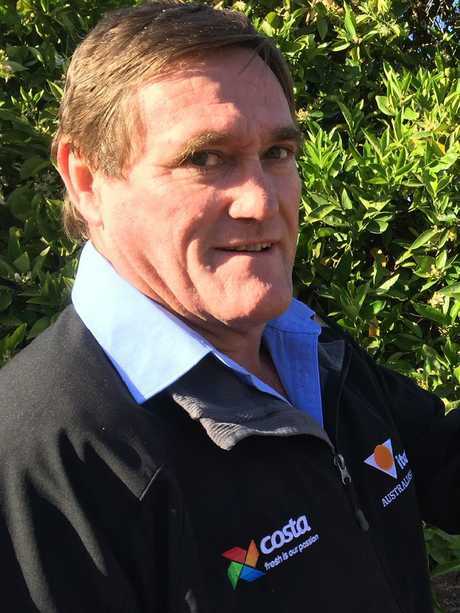 Mr Whetstone said new electronic signs, as well as roadside disposal bins, were installed to ensure motorists travelling to the Riverland to 'Eat it or Bin it' before approaching the Yamba station. 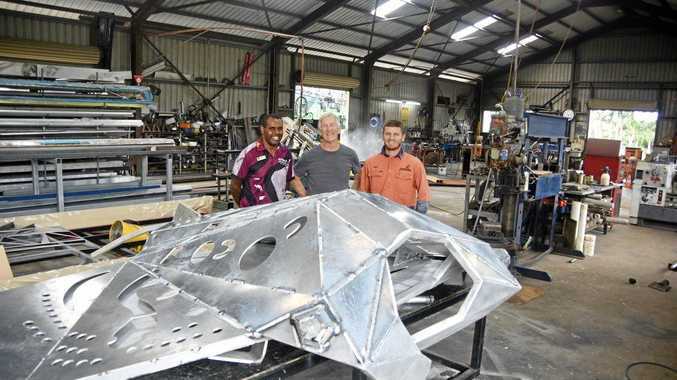 "From roadblocks to quarantine bins, we will use every tool at our disposal to defend our vital horticulture industry against fruit fly and to protect our fruit fly-free status," he said. Citrus Australia SA region chairman Steve Burdette. Citrus Australia SA region chairman Steve Burdette welcomed the tough approach. "There is so much at stake and we need to protect our industry," Mr Burdette said. "We request the public to be patient, to stop bringing fruit into SA and understand there is millions at risk." The Q-fly outbreak consisted of seven male flies detected in Loxton, which prompted 50 biosecurity staff to conduct baiting and hygiene operations in the affected area. An outbreak zone is in place until at least March 25.